It isn’t the first time Muslims have had to explain, in the aftermath of a terrorist attack in a western city, that Islam is not a religion of violence. After attacks in Paris, claimed by ISIS, which killed at least 129 on Friday evening, Islamist parties across the Middle East and Muslim groups in Europe and the United States were quick to condemn the assault. They denounced them as “a violation” of the principles of Islam and “far from religion”. In a column published on the Al-Arabiya English website Egypt’s Mufti, Shawki Allam, argued: “None of these extremists have been educated in Islam in genuine centres of Islamic learning.” Instead, they subscribe to “distorted and misguided” interpretations of Islam which have no basis in traditional Islamic doctrine. The assailants may have changed since the 1980’s when Islamist militants in Egypt expanded their argument with the government to include the murder of tourists, policemen and officials. While Islamist militant groups have continued to grow, developing their tactics, discourse and cross-border targets in the name of Islam, the counter discourse, from both Muslim governments and scholars, has remained largely the same, whether applied to Al-Gamaa Al-Islamiya and Jihad in Egypt and Al-Qaeda in Afghanistan or, almost three decades later, to ISIS in Syria and Iraq. This counter discourse, typified by Allam’s argument, focuses on denying any link between Islam and terrorism committed in its name. Not that there haven’t been attempts to articulate more nuanced arguments refuting ISIS's discourse and its laboured citing of Islamic scriptures to justify violence. “Hey so-called Caliph. Try reading the rules of war established by the first Caliph. You know, the guy you named yourself after,” religious scholar Reza Aslan tweeted in September 2014, addressing ISIS leader Abou Bakr Al-Baghdadi after the declaration of the so-called Islamic State. The tweet was revived this week but received only 15,000 interactions, a modest total for a social network such as Twitter on which 100 million users login daily and evidence, albeit anecdotal, that efforts to refute ISIS discourse by citing scripture has little traction on negative perceptions of Islam, Muslims and Arabs in the west. According to a Reuters poll on Monday 52 per cent Americans think accepting Syrian refugees will make their country “less safe”. By Tuesday 27 US governors had said they would not accept Syrian refugees. Although any final decision falls to the federal government, the announcements reflect the prevalence of anti-Syrian sentiments in the US despite there being no evidence of the involvement of Syrians in the Paris attacks apart from an immigrant’s passport, which experts say is fake, found on one of the crime scenes. Repeated condemnations by Muslims of Islamist violence or efforts explaining Islam appear to have had little effect on the rise of Islamphobia in Europe. According to a report published in September by “The Collective Against Islamophobia in France”, physical assaults against Muslims in France increased by 500 per cent, and acts of degradation and vandalism jumped by 400 per cent, in the six months following the attack in Paris by Al-Qaeda affiliates on the satirical magazine Charlie Hebdo in January for their portrayal of Muslims, where 11 people were killed. Frustrations within Muslim communities, where a shift in the counter discourse seems to be taking place, are running high. After the Paris attacks an increasing number of Muslim voices are saying the argument that Islam is innocent of violence is not only ineffective but fails to address the bigger problem. “Stop saying Islam has nothing to do with this. And stop saying imperialist wars have nothing to do with this,” said Dyab Abou Jahjah, a Lebanese-Belgian political commentator and leader of Movement X, an organisation which fights racial discrimination in Belgium. ISIS’s version of Islam, he wrote on his Twitter account, is an “offshoot of Wahabism” which originated in Saudi Arabia. “Mainstream Islamic theology is still archaic” regarding violence, he added. In an article published in the London-based Al-Araby Al-Jadeed under the title “Is Islam Innocent of Them?” Bilal Fadl, a prominent Egyptian columnist and satirist, called for a critique of the discourse of Muslim clerics who wouldn’t commit violence themselves but share IS’s extremist views when it comes to exterminating “the other”. “Are mainstream contemporary interpretations of Islam on the popular and official level really innocent?” he asked. The question becomes ever more difficult to avoid in the wake of each terrorist attack, wrote Fadl. And it is now being posed by Muslims who are “rebelling” against their faith as a result of the actions of extremists and terrorists. The debate is antagonising Muslims who, critical of the mainstream discourse on Islam, refuse the conclusions it suggests. “Any narrative that claims Islam is a religion which provokes such acts of violence, ultimately strips Muslims of any agency. It leaves them with no choice but to follow,” says Ibrahim El-Houdaiby, a researcher on Islamist groups and political philosophy. Equally provocative, El-Houdaiby argues, is the narrative of religious institutions, neo-clerics and “defenders of Islam” who endlessly repeat that terrorist attacks do not represent the real Islam. It is problematic, says El-Houdaiby, because these institutions are affiliated with authoritarian regimes which produce civil violence and hatred, but never denounce them. “They will speak up when it’s about Islam’s image in the ‘civilised’ west but only whisper when such attacks take place in Lebanon or Ankara, for example,"El-Houdaiby said. Al-Azhar, Sunni Islam’s most prestigious institution, could do more, says HA Hellyer, a Senior Fellow at the Atlantic Council in DC and the Royal United Services Institute in London. When ISIS immolated captured Jordanian pilot Moath Al-Kasasba in February the group’s clerics justified it as Islamic, citing verses from the Quran. 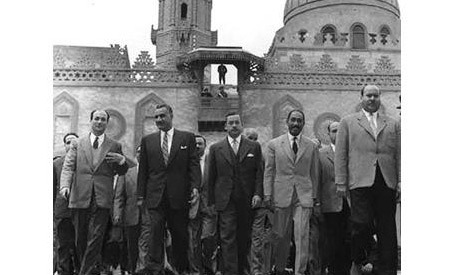 Al-Azhar was nationalised under Gamal Abdel-Nasser in 1961, a move that followed after several attempts to limit the independence of Muslim scholars in the 1950s. Despite the brutality of their carefully choreographed propaganda (Kasasba’s immolation, like other ISIS atrocities, was filmed in a long, high definition, professionally made video) experts argue it is ISIS’s narrative, and the group’s mastery of social media strategy, and not moderate Islamist discourse, which has the most impact today. The question who should craft a counter narrative is left largely unanswered. An important aspect of the debate, the “essentialising of Islam”, is often overlooked, says Amina Elbendary, professor of Middle East history at the American University in Cairo. That the counter narrative is still viewed as the responsibility of religious institutions like Al-Azhar compounds the problem. “The target audience doesn’t want any connections with authority because they see authority as the problem,” says Hellyer. The fact that religious institutions are more than ever associated with the state gives them no credibility with those who want to blow themselves up and don’t want to listen to Al-Azhar." The only way to confront this is for governments to lift their grip on religious institutions, he added. They were the one who invaded Iraq and murdered millions of Muslims, Its time for Muslims to defend themself against Nazis like Trump. Never seen an article debating Christianity after a distorted white kid opened fire on innocent black worshipers in a church in Charleston. Or various distorted American youth shooting innocent people in multiple movie theaters in Tennessee, Lafayette, Aurora, and elsewhere. Over 30,000 Americans are shot-dead every single year by local "terrorists"; and the hypocrisy keeps mounting about “Islamic” terrorists. Europe is somehow justified to question Arab/Islamic terrorism, but Americans? Who’s their moron Bush created ISIS, should take a break and look in the mirror before they let their amnesia take the best of them! The article is about debating Islam. Now there is agreement between all the super powers, that Dash and other terrorist organizations will be dedtroyed. You can continue to excuse the terrorist and play victim or confrom the cancer that has infected Islam. It is quite possible (and something ai fear) that there will be a real war of civilizations which the people of the Middle East cannot win. I do not want to see the Pyramids glow in the dark. There will come a point when the evil West will say enough. Total war is Hell. Look at the new found strength of far right partied, even the idiot Trump is getting support. Many are working to prevent this. You can continue to feed the hatred, and hatred will win. a good article. I'll begin by asking a rhetorical question, and answering it. Why did the government crack down on clerics after June 30? Because, to defeat the Ottoman Empire during WWI, the British organized, paid and armed the most primitive tribe in the remotest desert - Saud - to fight the Sunni Turks as takfiri. Then in 1978 the U.S. got them to fight the Afghan Sunni secular socialist as takfiri/Russians. Then when the Cold War ended, the 'West's' banksters and military contractors needed a new enemy, the clash of civilizations, and built up China and Saudi, with Saudi spreading its Wahabist heresy by funding mosques and clerics around the world. Egypt is now cracking down on these Salafist clerics, and Ikhwan schools. Blaming the west solves nothing, islam must solve the Salafist legal problem first. make Salafism illegal and the terror will stop. The crimes and terrorism perpetuated speakers for itself. No one is buying any more excuses. I appreciate the desire by Islamist scholars to distance itself from the multiple terror attacks by ISIS in France. However, saying that Islam is the religion of peace does not equate with Salafist ideology. Salafism is part of Islam and Salafism is violent, one has only to "google" "unbeliever" to see the effects. ISIS is doing what there Salafist teachers are dictating. Who sends the Salafist funds?, where do they live?, where do they teach? Turning a blind eye to the ISIS/Salafist mosques and schools is very much a Islamic problem as well as a problem for the whole civilized world. The subject is terrorists; Saudi to Islam is what Israel to Judaism. The subject is Islam. Once again it appeard the effort is made to change thr focus. Regardless of who acts in bad ways, no excuse ecists for such behavior. Is it OK for Salafi to destroy Sufi shrines or Christian churched, and to call for the death of Christians? I have read in these pages of Salafi saying they would not die for Egypt but would for Saudi Arabia. This is patriotic? Rather Hypocritical for Israelis to jump on the bang wagon of terrorism and killing innocent civilians, isn't it! Islam has it's fair share of terrorists; whether they're Wahhabi or Salafist, so is Judaism with Israelis.